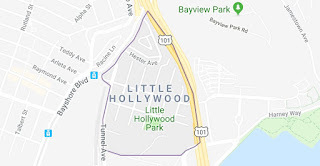 My Mother grew up in a place called Little Hollywood in San Francisco. 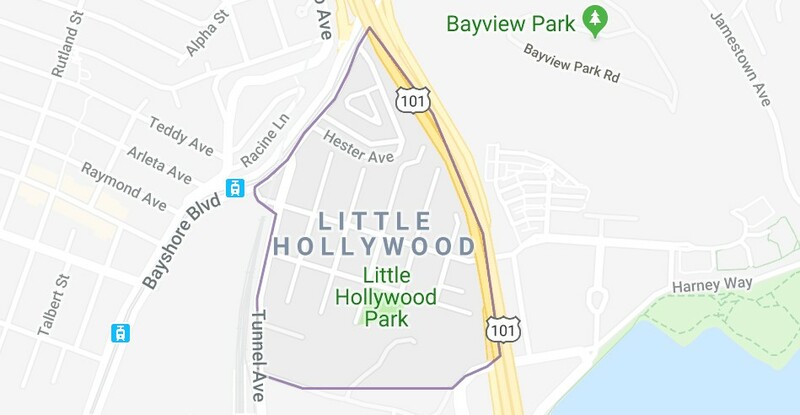 For years, I thought that Little Hollywood was its own district. It wasn't until I was digging around the internet that I realised LH was a small section of the district of Visitacion Valley in SE San Francisco. Shaped like a slice of pie! The origin of the name Little Hollywood is somewhat disputed. 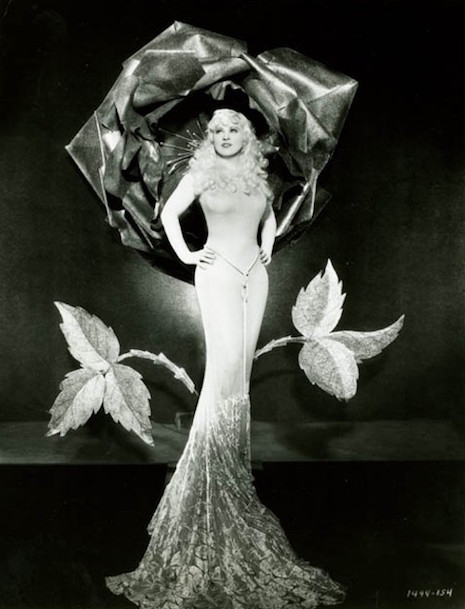 My mom always told me that LH was so named because Mae West had stayed in a house in this part of town when she would come to San Fran to perform. 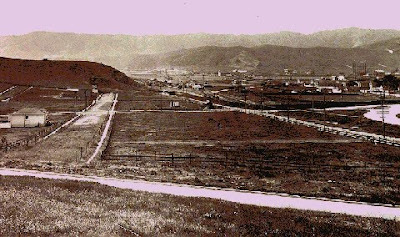 Yet my mom also told me that LH may also have gotten its name due to there having been planted palm trees a la Los Angeles during its creation as a neighborhood. It certainly could also be that the style of the homes mimicked those that had been built in the Hollywood Hills. Well, whatever reason, I think the name is kind of fun. 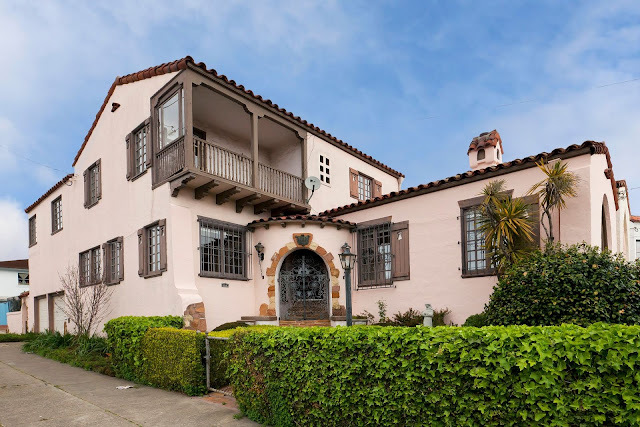 I went looking for the house that Mae West had supposedly bunked in and found it to be probably the grandest home in Little Hollywood by a long shot. Incidentally, I also went by my maternal grandparents' old house and found it to be rather a dump. This area, sadly, hit an economic slump in the 60s and 70s and many of the homes fell into varying states of disrepair during that time. Their home was one of them. 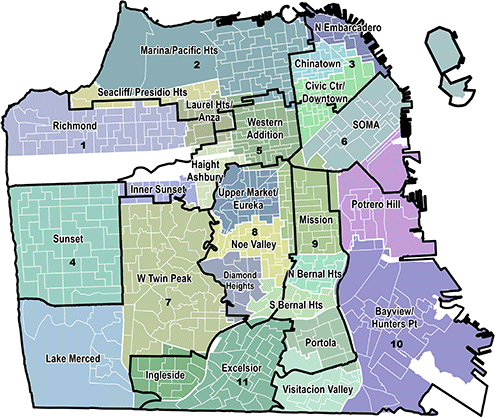 Also of note: When looking for SF district maps online, I noticed that, depending upon who had created the map, the districts shown would vary. The entire southern portion of the city is not shown. I live in District 11. Down in the SE portion of the map is Bayview/Hunters Point. (Visitacion Valley/Little Hollywood isn't even on this map.) 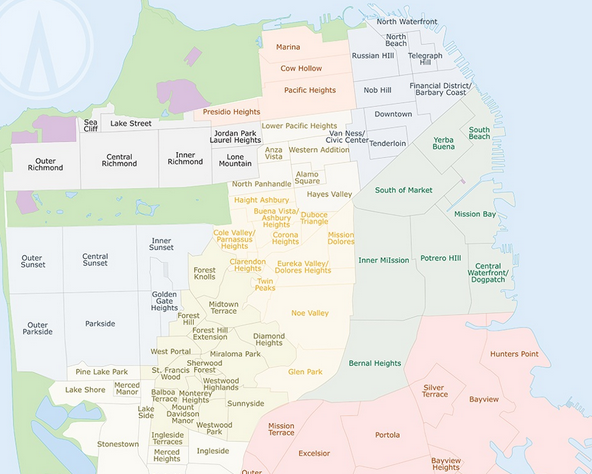 This area of town is probably the most economically disadvantaged in SF. 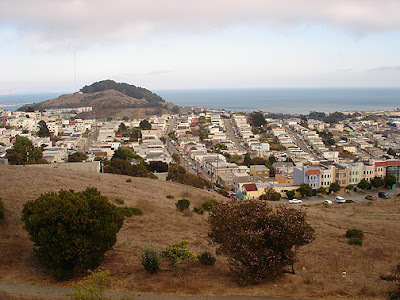 -don't want to buy a home in Bayview because of the crime stats and (mostly) bad press? 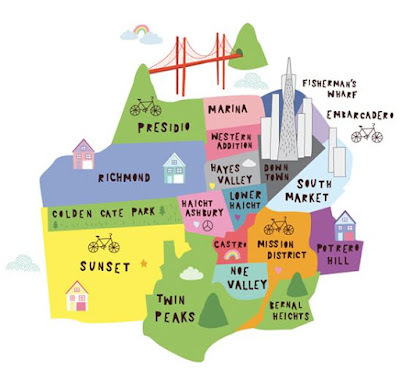 Well, then, Bayview Heights might just be for you! Interestingly, the above map shows that I live in Mission Terrace, a slightly more tony area than that of the Excelsior. Go, figure. Of course Mae West stayed in the very poshest home around. Love that the maps for different purposes differ. Spin impacts everywhere. The southern part of town is probably not on many tourist maps, but with the advent of AirBnB, I do now see my fair share of visitors with wheelie bags in tow around these parts. I'm glad you thought so, Susan! It's funny how there are so many little areas with their own names. I guess that's true of any city. What's trippy is that most natives have no idea what area I'm referring to. It's like you have to live in LH to know about LH. Crazy! So Twin Peaks is a real place?